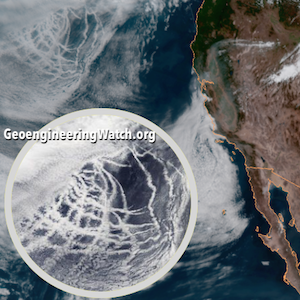 NASA tells us that the shockingly visible and very extensive “tracks” (or trails) being witnessed on satellite imagery over oceans are ALL the result of pollution being produced by ships, which is in turn creating “clouds” as an unintended consequence. Does the “official narrative” from NASA actually hold up to an examination of the facts? Please view the 7 minute video below and come to your own conclusions.